Receive $20.00 off your next service at Premier Automotive Services. Limit one per customer. Restrictions may apply. Cannot be combined with any other offer or special. Coupon must be presented in advance. 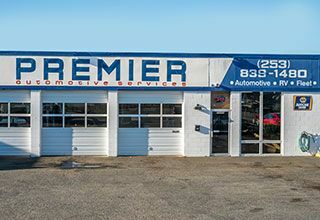 Welcome to Premier Automotive Services, your leading auto repair shop that you can count on. 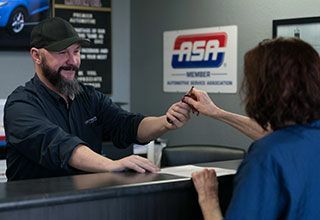 Join satisfied clients from Kent and Des Moines who have come trust that the team of masterful ASE-Certified auto mechanics and friendly customer service advisors are committed to a first-class auto repair experience. The bar for quality and service is high at our shop. 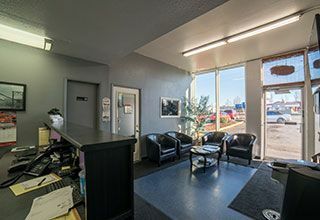 Customers discover this immediately and new clients end up choosing us as their leading auto repair shop because our commitment to providing above and beyond services becomes evident from the moment they enter our facilities. You don’t have to worry about us pushing any unnecessary auto repair services on you at Premier Automotive Services. We’re not interested in pulling the wool over your eyes. 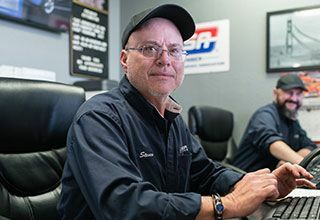 We’re genuinely dedicated to providing first-rate services and getting you back on the road in a safe car with the confidence that your vehicle is in tip-top shape. Clients from Kent and Des Moines stay with us for the long haul because they’re impressed with our courtesy and impeccable auto repair services. 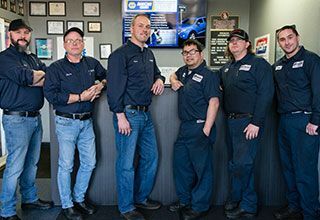 Our team of educated and professional auto mechanics do what they say and stand behind their work. We proudly offer a 2-year/24,000-mile warranty because we are that confident in our capabilities. We’re efficient and kind, and we operate with good business ethics. “I received excellent service. Everyone at Premier Automotive was friendly and helpful. They took time to explain my options and answer my questions. They also put out extra effort to work with my schedule and made sure I had a loaner car to use. I will definitely bring my car back for service at Premier!” -- Rebecca R.
Contact us today to provide premier auto repair services. 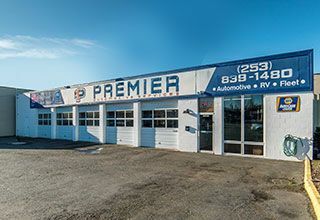 Premier Automotive Services is conveniently located at 25009 Pacific Hwy S, Kent, WA 98032. Our hours are 8:00 AM - 5:30 PM, Monday - Friday. Our team of highly qualified and reliable auto mechanics is ready, willing, and able to offer five-star auto repair services and get you back on the road knowing that you’re in a safe vehicle. Come see why Kent and Des Moines car owners stay with us for the long term for auto repair services. We look forward to your visit! 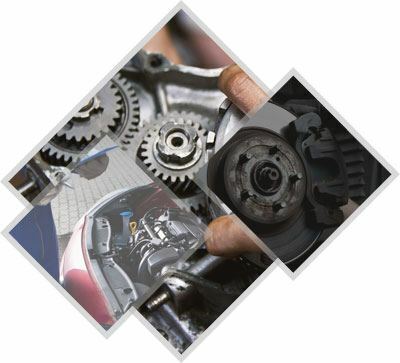 We understand that there are times when an auto service or repair expense comes at an inopportune time for your budget. To help you get the work done in a timely manner and to keep your car safe for you and your family, we offer attractive repair financing options to spread the cost over time. “The guys have been great. They're fair with price and get things done quick. I have an audi A6 and other than an audi dealer, Ryan at premier and his crew are the only people I would trust. One of my peaves is that other places I've been to leave the steering wheel greasy & dirty. My car is wiped down and even vacuumed at premier automotive.. Thx guys!